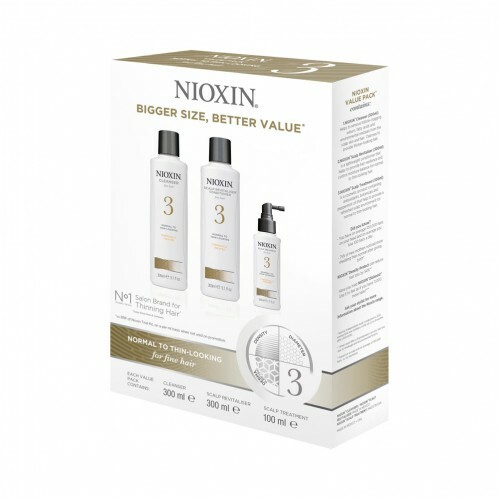 Designed for use on normal to thin hair that has been treated with chemicals, Nioxin Loyalty Kit System 3 will help restore moisture and thickness to your hair whilst getting rid of build-up in your hair and scalp. 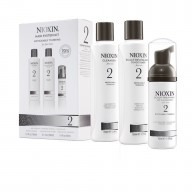 This kit also works to strengthen hair to protect against breakage and increase the fullness of each hair strand. 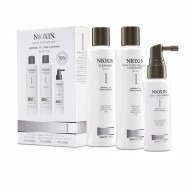 Removes build up to cleanse your hair and leave it feeling thicker. Restores your hair’s natural moisture balance whilst conditioning. A leave-in conditioner enriched with botanicals and antioxidants to leave your scalp feeling refreshed and healthy.